How was your Valentine's Day celebration? I bet it was so much fun. I celebrated mine with my loving family- simple yet so sweet! To add up the sweetness to my Valentines Day celebration. I hosted my very first Hosted Parties courtesy from Splenda and Crowdtap. Wohooo! !together me and my friends baked some sweet treat and goodies to be shared to our family and friends which is so perfect for Valentines Day. Yes! I'm extremely excited to be selected on Splenda Baking Party. As you may all know that I love to cook and bake- When I told my friends about it, they were all excited and the baking party with Splenda is set! Splenda Sweetener Products Its Zero- Calorie sweetener that taste like sugar but it isn't and its good for baking and cooking!! for more awesome information about Splenda check out their humble beginning HERE. Its so much fun exploring the site and I love the story behind Splenda Sweetener... 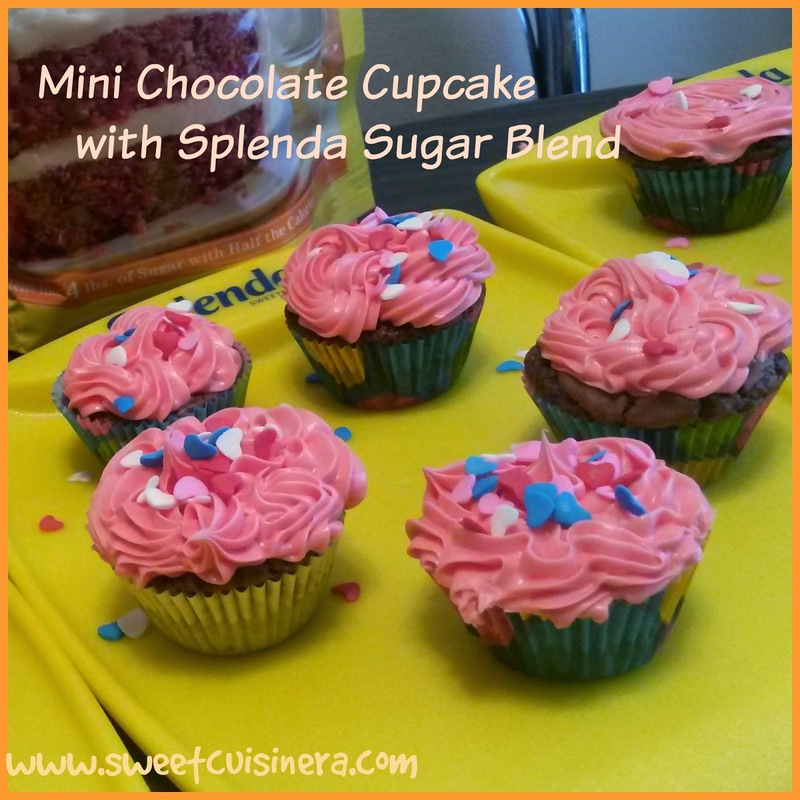 Such a sweet information that give me excitement to create my own sweet creations using Splenda! Are you excited as well? 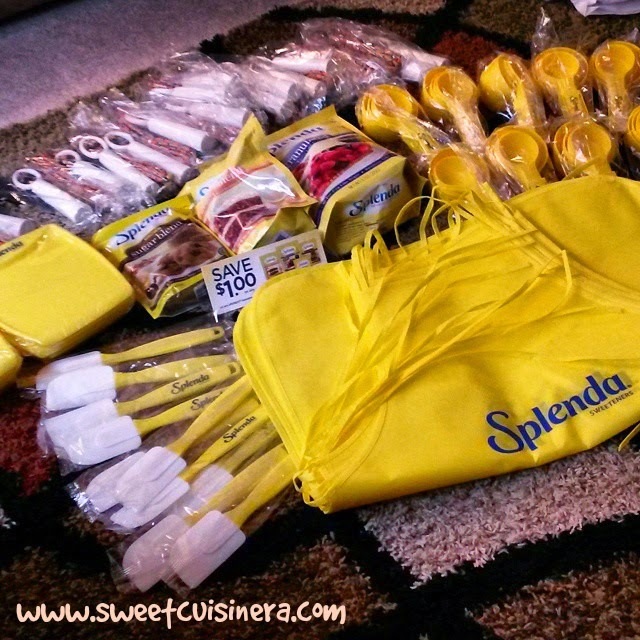 Come let's take a look on my super glorious Splenda Baking Party Kit. Now, that we have the supplies, all we have to do now is make some sweet zero calories sweet treat that everyone will love and enjoy. Lets bake together with some sweet treats using Splenda. Check out recipes below. :) Enjoy! Note: The recipe for Brownie and the Mini cupcakes are the same. I divided the batter into half and make 2 sweet treats. I followed the recipe from Better Homes and Garden Cook Book and substitute the sugar with Splenda Granulated Sugar. 3.) In large mixing bowl beat the butter with electric mixer to high speed. Gradually add the Splenda granulated sugar, add the eggs, and the vanilla and mix well. 4.) Add the dry ingredients slowly until well combine. 5.) Spray the 9x9 inch baking pan with non-stick cooking spray. Pour half of batter into the pan and bake it for 15-20 minutes depending on how thick your brownie is. Adjust the baking process if you need to. 6.) Let the brownie cool down. You can sliced the brownie into bite size pieces or leave it as a whole. 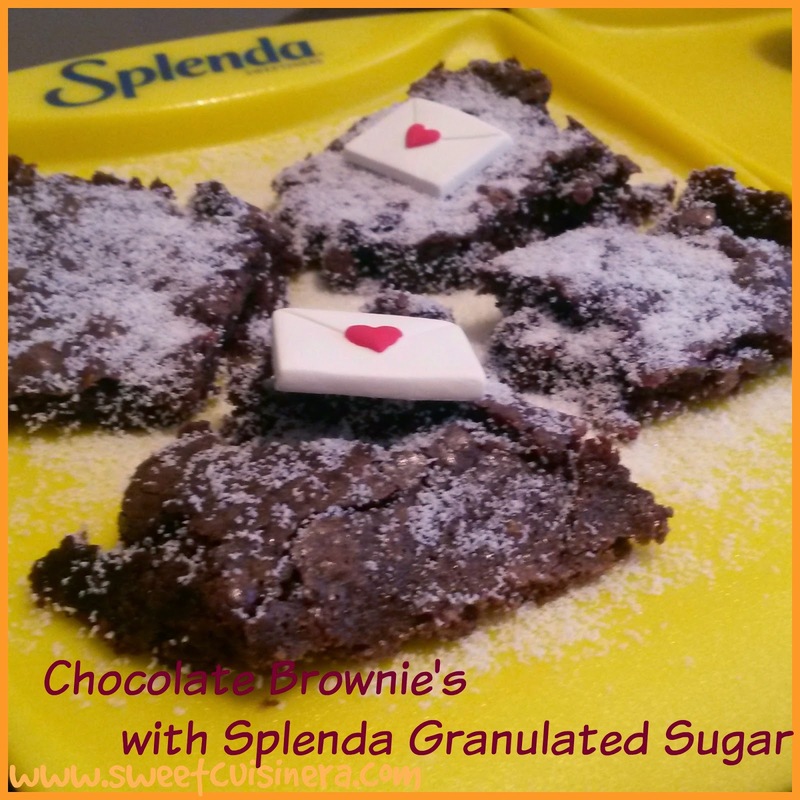 Sprinkles the brownie with Splenda Granulated Sugar. Yum! Share it your family and friends and Enjoy! 2.) Using 24 mini cupcake pan. Line them up with muffin cups and spray with non-stick cooking spray. Scope enough batter to fill up the mini cups. 3.) Bake for 10-12 minutes or until the toothpick came out clean. Adjust the baking time if needed. 4.) Let the mini cupcakes cool down. Put the frosting and sprinkles. Enjoy your mini cupcakes with your family and friends. 1.) In large pan, combine all the ingredients. Pork, soy sauce, vinegar, Splenda brown sugar, spices and water. 2.) Let it cooked until the pork is tender. Add water if you need to. You can also add your favorite vegetables. 3.) Once the pork is tender. Add salt and pepper and taste according to your preference. 4.) Serve sweeten Pork with rice and share with your friends. Enjoy! The recipe above is my creations using Splenda, But there's a ton of scrumptious recipe that you might want to give it a try check them out http://recipes.splenda.com/recipes. Yum! The classic carrot cake recipe and Chocolate Dunk cookies is next to my list for sure. - The whole baking party experience is so FUN! Me and my friends enjoyed the baking process and our kids are having fun playing with Splenda Ropes. The AWESOME part is able to eat and share such a scrumptious dessert using Splenda Sweetener products to our friends and family. 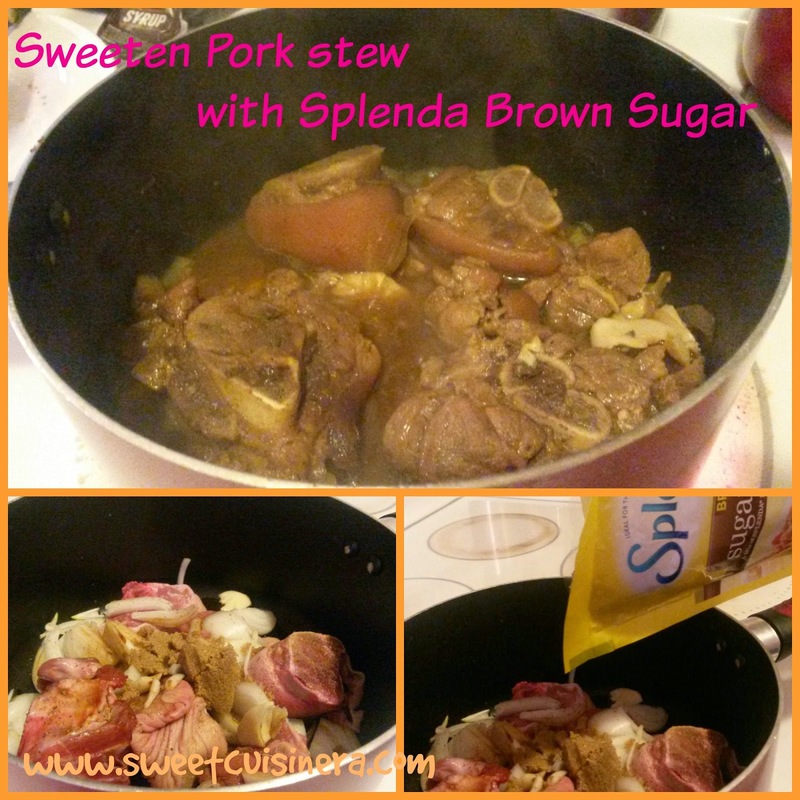 I hope you guys give this recipe a try or check out Splenda site for more delicious recipes. I'll promise you its so good and sweet! Keep browsing on my blog. I'll see you in few days for more awesome recipes. Stay sweet and warm everyone! 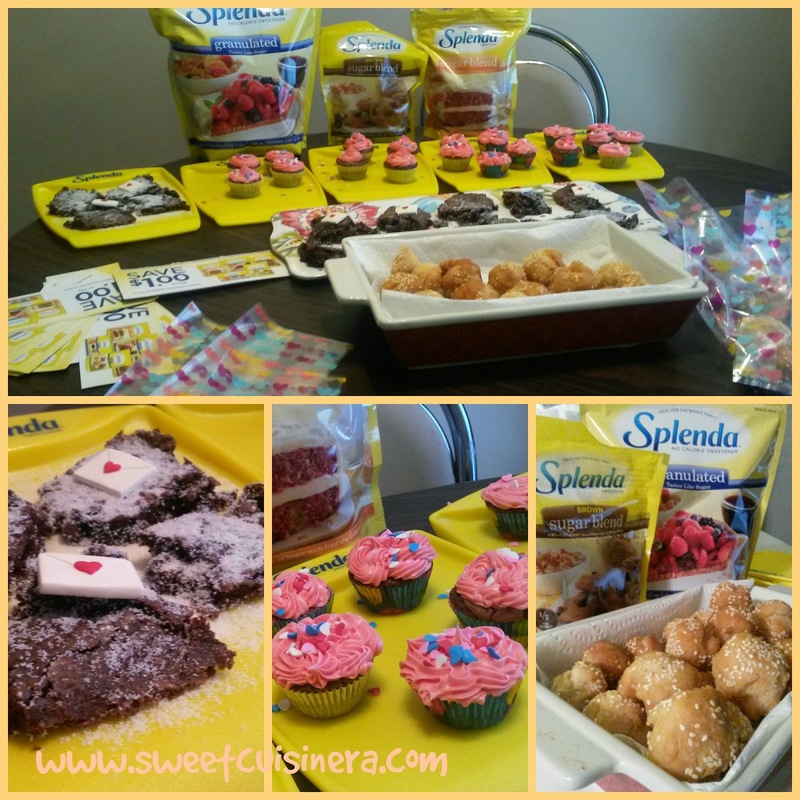 Thank you so much to Splenda and Crowdtap for making this Baking party so much and able to share the experience with my family and friends. Hi Melgie.. Oh I love baking too. It's great to get baking stuff for free. Those goodies look delicious. :) Splenda and Crowdtap are so generous. Wow! That is a bunch of goodies from Splenda. And you used them really well! Yummy! Crowdtap sounds interesting. What a fun thing to do for Valentine's! I'd love to have a baking party, or even a painting party with my friends. I hope they would like the idea too. Yum yum! Lucky you get to try many products. I think I also need to learn baking. Splenda and sweet treats...that is a treat! Thanks for the recipe, sis. I use Splenda when baking for my parents because they're diabetic. Wow, you have a lot of goodies. Baking party is really nice, not only for kids but for adults too. Love the goodies that you have . I have heard about Splenda as a substitute for Sugar but am skeptical to whether it is really that much better then Sugar. Its good for baking also use the Splenda Granulated Sugar for baking. Thanks! I love chocolate cake aswell. Hi Sis! Ipadala ang sobra dri sa ako sis hehehe! I love the brownies and cupcakes yum yum! Thanks for this info/review of Splenda ang Crowdtap. I never heard these before. Are you a regular review writer for this company or product? I am not a great cook and looking at your photos makes me drool! It's so great they gave you a whole set of party needs. Food looks great too! Wow! Ikaw na talaga sis ang laging may natatanggap na FREE! I know how it feels, ako nga na maliliit na bagay lang ang natatanggap kong free, masaya na ako. Ito pa kaya na andami? hehe. wow ang dami ng free! mas nakakainspire siguro na guamwa pag ganito kaganda gamit mo no? I did not knw slenda has baking products! Amazing!